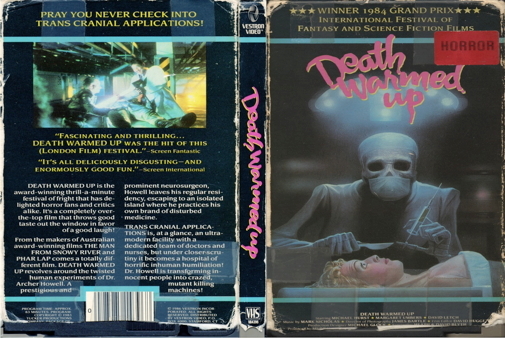 This funky and intelligent sci-fi-horror sleeper from New Zealand features Gary Day as the maniacal Dr. Howell, director of the Trans-Cranial Applications Hospital, who conducts bizarre brain experiments in a subterranean laboratory on a remote island -- most of which backfire and turn his patients into murderous zombie slaves. Onto this island of weirdness ventures a group of youths -- including the troubled son (Michael Hurst) of the doctor's former scientific rival, whom the mad doc had hypnotized into murdering his father several years ago. The resulting confrontations between the dirtbike-riding kids and armies of rampaging mutants are action-packed and splattery as all get-out.